The Hansaton Flow BTE hearing aid lineup is available in two performance levels – Flow 1 and Flow 2. Refer to our Hansaton Flow BTE Product Series page for a side-by-side comparison of both models. The Hansaton Flow 1 provides a natural, pleasant hearing experience at reasonable prices. It delivers exceptional performance and is available in three power sizes – all of which are plasma-coated for protection. 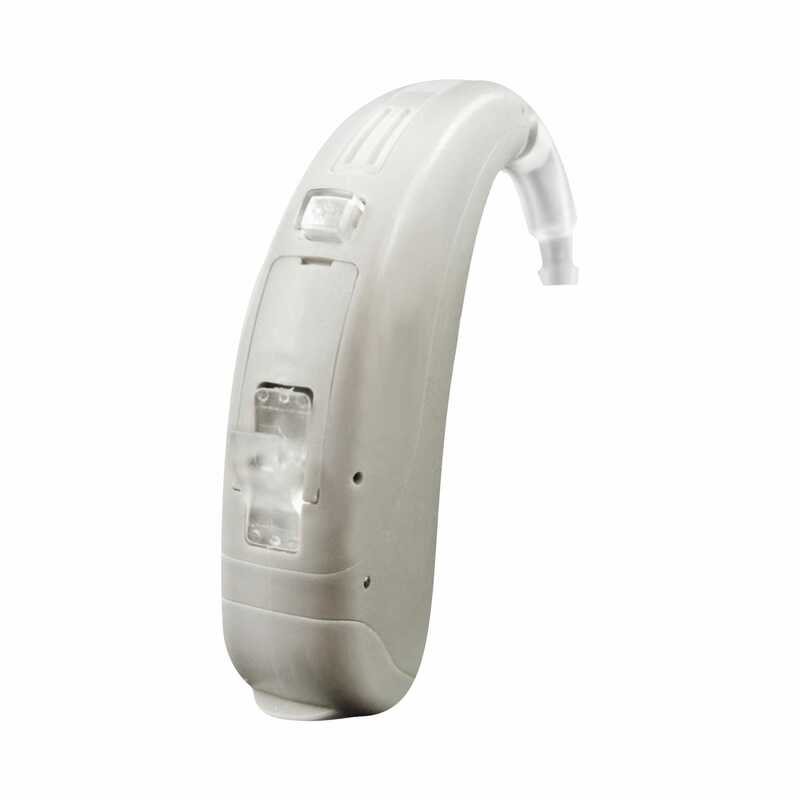 This hearing aid enriches daily life for all wearers and even in situations with increased background noise, the Integrated NoiseReduction and SpeechLift features are able to provide optimized clarity of speech.